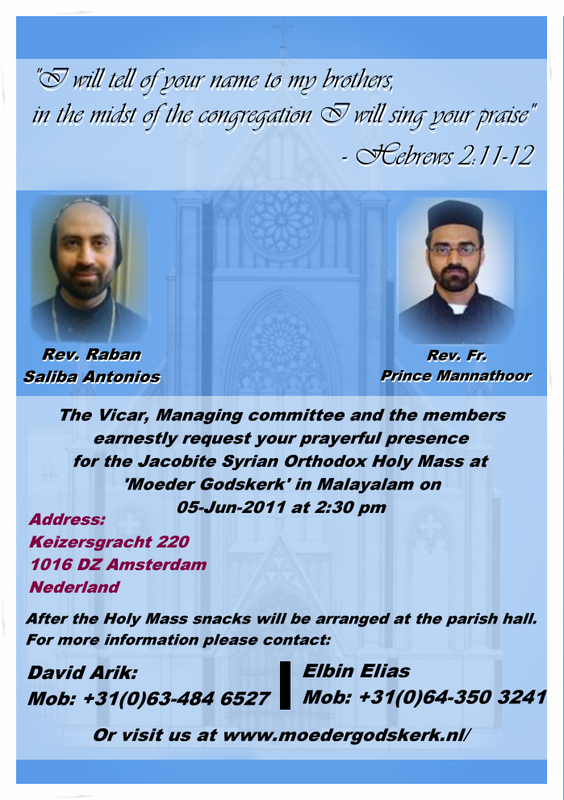 The Vicar, Managing committee and the members earnestly request your prayerful presence for the Jacobite Syrian Orthodox Holy Mass at ‘Moeder Godskerk’ in Malayalam on 05-Jun-2011 at 2:30 pm. The church celebrators will be Rev. Raban Saliba Antonios and Rev. Fr. Prince Mannathoor. After the Holy Mass snacks will be arranged at the parish hall.